Leadership Vancouver Island - September 2017 West Coast N.E.S.T. Leadership Vancouver Island is a community-focused, grassroots leadership development program that aims to inspire and build capacity for outstanding leadership, learning and service. Participants in the LVI program engage in community leadership development through several dynamic individual and group learning opportunities over nine months. The program begins with a two-day retreat in September, then two learning days per month, until a final two-day retreat in May. The retreats and learning days rotate across communities: in Tofino, Ucluelet, and First Nation territories of Yuułuʔiłʔatḥ, Ahousaht, Tla-o-qui-aht, Toquaht, and Hesquiaht. 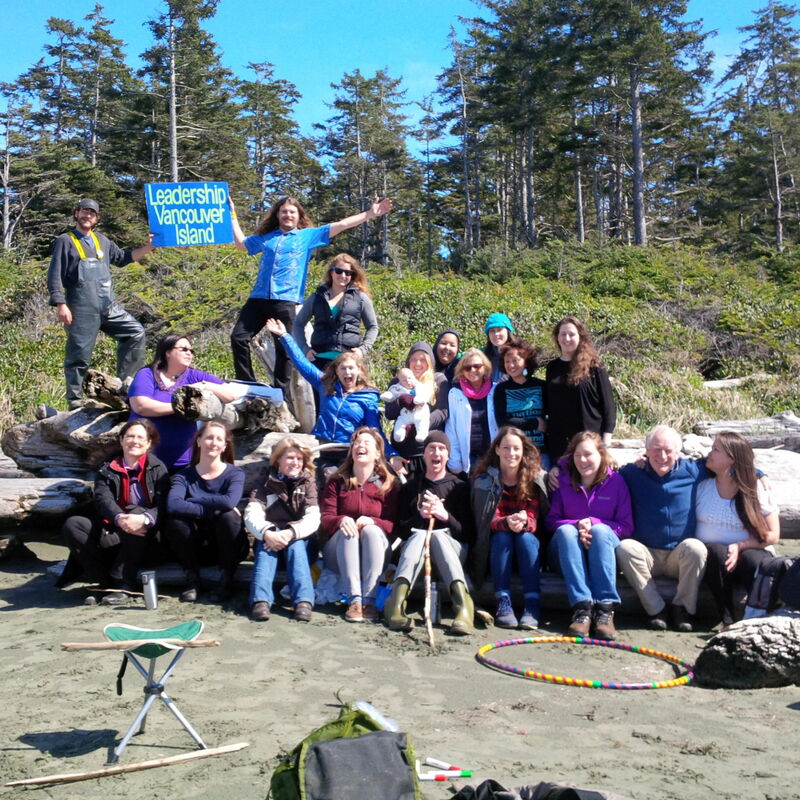 One of the highlights of the west coast program is that participants connect with people across the region within all of the communities, bringing a broader understanding of initiatives and issues that face our coast. Students create their own personal leadership plans and work with their team and a coach to craft their own path of learning. Groups of students also apply their skills to community projects and initiatives as they bring a team project through from conception and planning to implementation and evaluation. Each participant has the opportunity to work with a certified professional coach throughout the LVI experience. This can be an immensely valuable and enriching part of the LVI learning experience that gives participants an opportunity to identify solutions for themselves through engaging dialogue with professionals who specialize in leadership development. Please email applications to Brooke or drop off at the CBT office at 316 Main Street, Tofino.